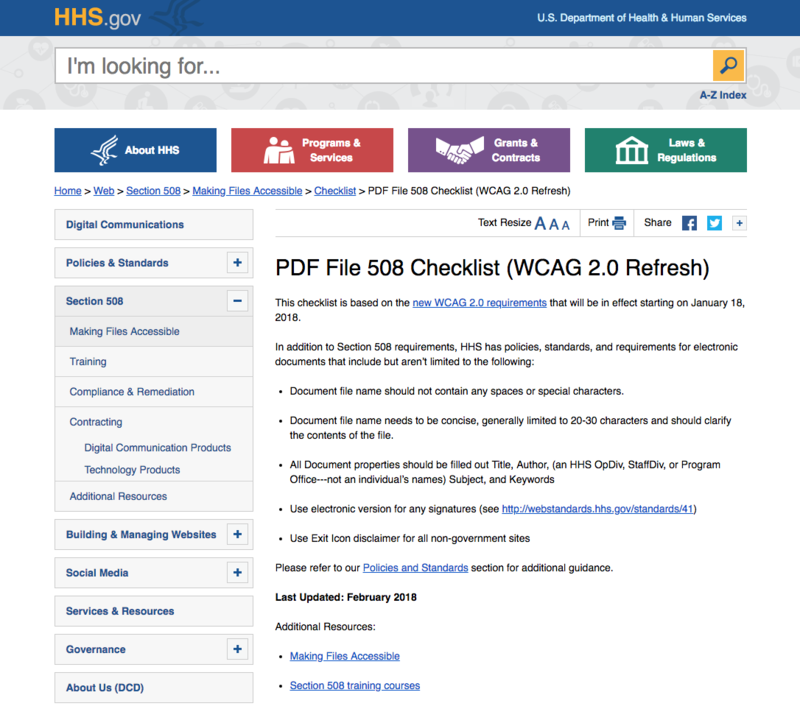 If your school, non-profit, or other business, receives any Federal funding, you must turn online documents into documents accessible for the handicapped, or risk losing your funding. Years ago, Congress acted to require Federal agencies to make their electronic and information technology accessible to people with disabilities. The law applies to all Federal agencies when they develop, procure, maintain, or use electronic and information technology. Averill & Associates LLC, a Hudson Valley firm, can turn your online documents into properly styled accessible documents, meeting Federal requirements. We work by repairing or updating the source file in InDesign, Word, or most other software. Most source files need extensive modification before they are able to be properly accessible. We make all necessary changes, then create a compliant PDF for you to publish on your web site. If your source file is one that is used often—an annual guide, for example—we return the file to you for use as a template for your next publication. Using a corrected source file will cut down on modifications needed the next time an accessible PDF is desired. If the source file is not available, we can work from a PDF. Among the items Averill & Associates will check and correct are: alt text for photos and graphics, proper headings, tab order, form fields, contrast, document reflow, and scalability. What has to be accessible? Non-public-facing content including electronic content used by a federal agency for official business to communicate: emergency notifications, initial or final decisions adjudicating administrative claims or proceedings, internal or external program or policy announcements, notices of benefits, program eligibility, employment opportunities or personnel actions, formal acknowledgements or receipts, questionnaires or surveys, templates or forms, educational or training materials, and web-based intranets. Some things to consider when picking a typeface for an accessible document. to see the requirements for online print documents. Let's see how we can help you with your next project.